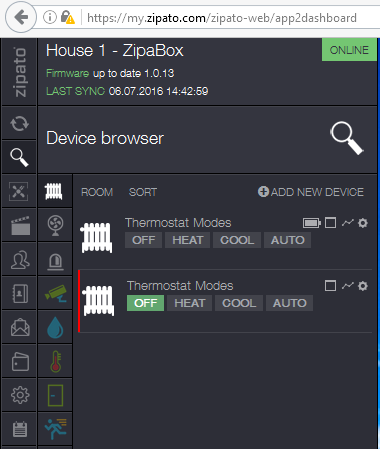 Programming virtual a Thermostat with the Zipato interface. 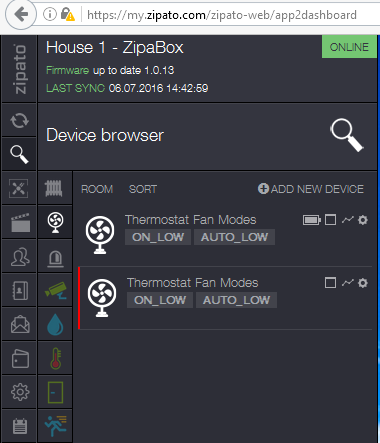 In this article I will overview how to add and set up a thermostat within the Zipato interface. With other controllers, it is a fairly simple one step process, but because this controller is European based, they take their home heating a different way. Instead of having multiple components in the house we have just the HVAC system and the thermostat. In Europe, it is a very common trend to use hot water valves or electronic dampers and temp sensors throughout the home. These devices will not be needed in this section so we can hide them. Once those are hidden we can then continue with creating a virtual thermostat. Each thermostat will learn in with multiple components including temperature set points and modes and whatnot. Those components are what we will use to create a virtual thermostat. The next step in the process is to create your virtual thermostat. The first thing you will want to do is name your thermostat (#1 below). Once your thermostat is named, we can then assign the heating inputs and outputs (#2 below) and the cooling inputs and outputs (#3 below) as well as the thermometer input (#4 below). 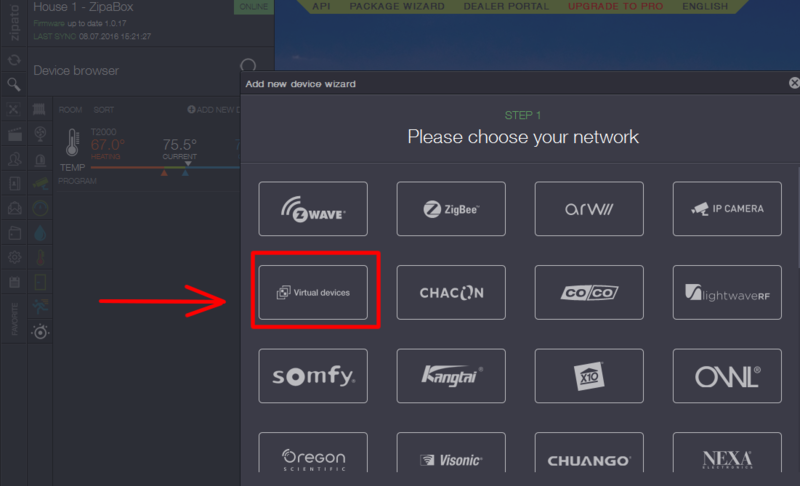 This is where you will click the dropdown menu and select the thermostat that you’d like to use for this virtual thermostat. 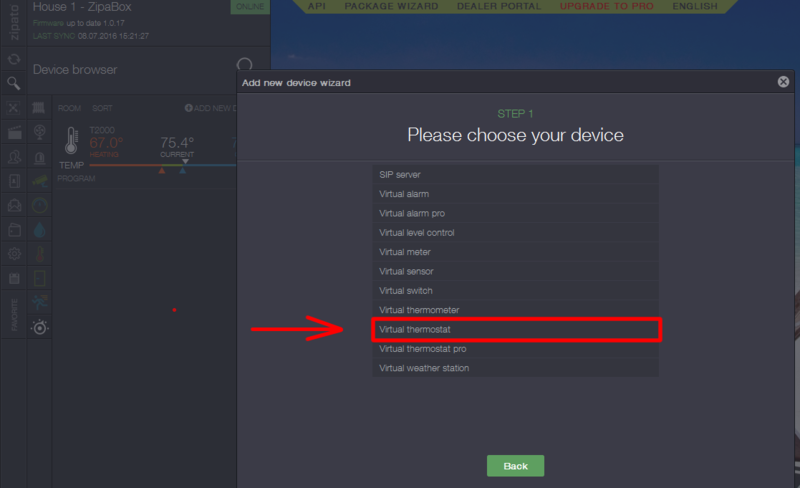 Once the information is put in, you can click on save and it will create your virtual thermostat! 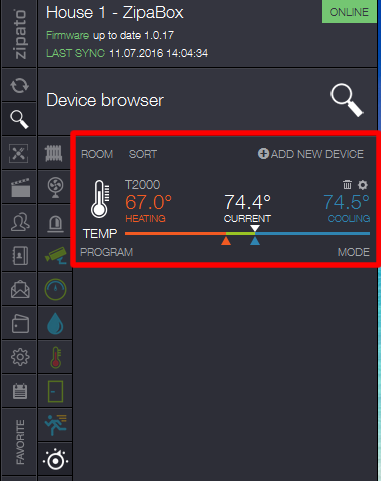 The thermostat will show up in your device browser under thermostats and display as shown in the image below. You should now have the ability to control your heat and/or cool set points as well as change the modes on your thermostat. This will display in the web interface and in the smart phone app as well. 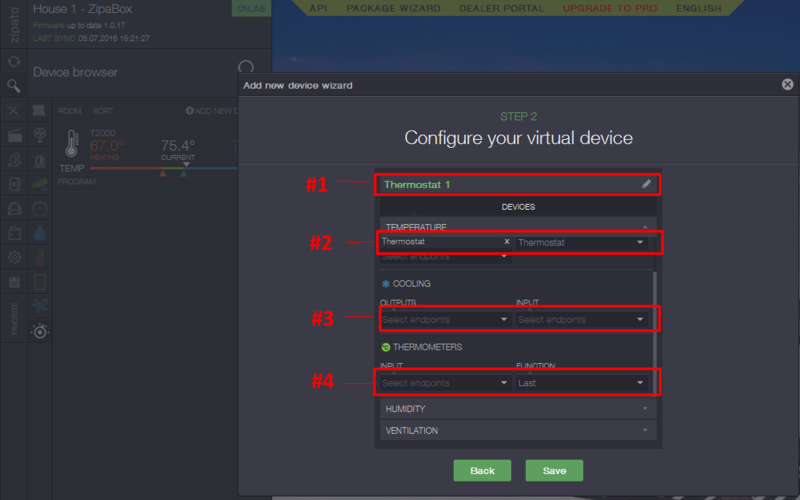 If you do not have a functional thermostat at this point, you will want to delete the thermostat and go through the setup process again and make sure to select the correct components when building your virtual thermostat. Posted by: Worthington Technical - Tue, Jul 12, 2016 at 7:30 AM. This article has been viewed 8933 times.